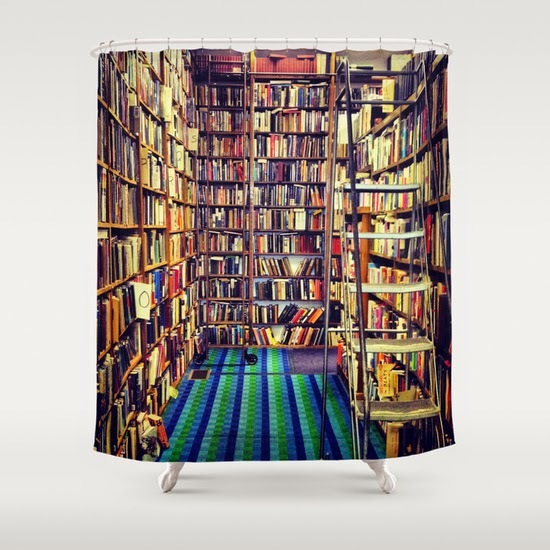 I found these fun bookish shower curtains over at Society 6, where can design shower curtains and a ton of other items using their own photos and artwork and sell them. 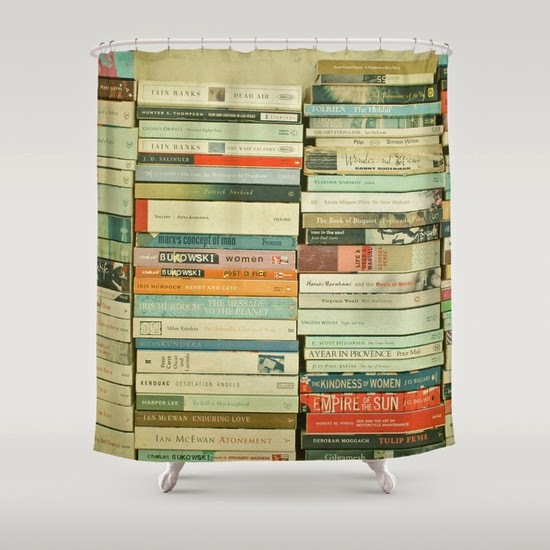 They are a little more expensive than the average shower curtain, but they are fun. You can find the design above (by Cassie Beck) here. 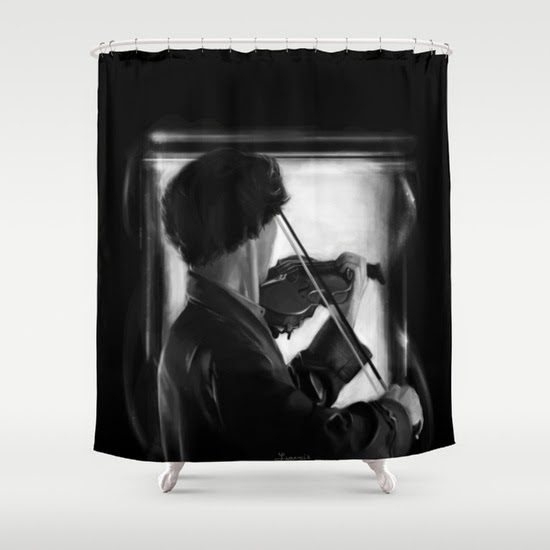 There are pages and pages of Sherlock inspired shower curtain designs, like this one from Aizercul. 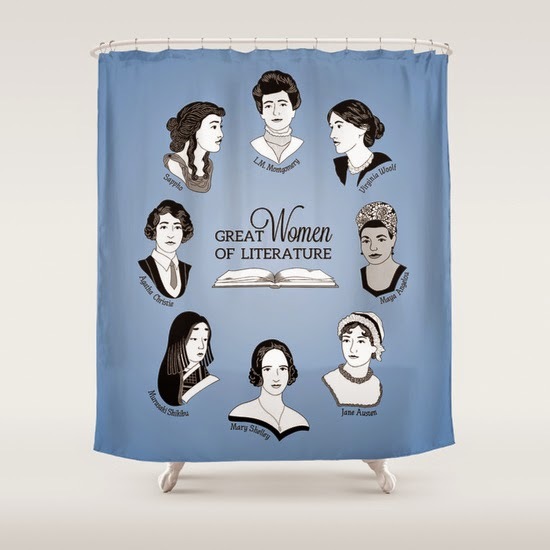 This curtain, by Geeksweetie, covers great women of literature including Agatha Christie, Mary Shelley and Virginia Woolf. Here's another take on books, this one by Whitney Retter. So many options. Way too hard to choose.